 List of Building, Electrical, Mechanical, and Plumbing Permits and Driveway/Sidewalk Permits issued by the City of Austin. Includes relevant details such as issue date, location, council district, expiration date, description of work, square footage, valuation, and units. Driveways feature class is created to assist in City of Austin planning activities. Driveways are created from heads up digitizing using 2012/2013 Orthoimagery and 2012 Lidar where Orthoimagery is not available. Full metadata: ftp://ftp.ci.austin.tx.us/GIS-Data/Regional/regional/driveways_2013.txt This product has been produced by the Communications and Technology Department for the sole purpose of geographic reference. No warranty is made by the City of Austin regarding specific accuracy or completeness. 1987 Planimetric Layers: consisting of base, sidewalks, driveways and building footprints. There is no record of how or who made these GIS layers. There are large gaps in the extent of coverage. Unreliable representation of planimetric features. We suspect the data was derived from 1987 aerial photographs, but there is no documentation to confirm this suspicion. This product has been produced by the Communications and Technology Department for the sole purpose of geographic reference. No warranty is made by the City of Austin regarding specific accuracy or completeness.